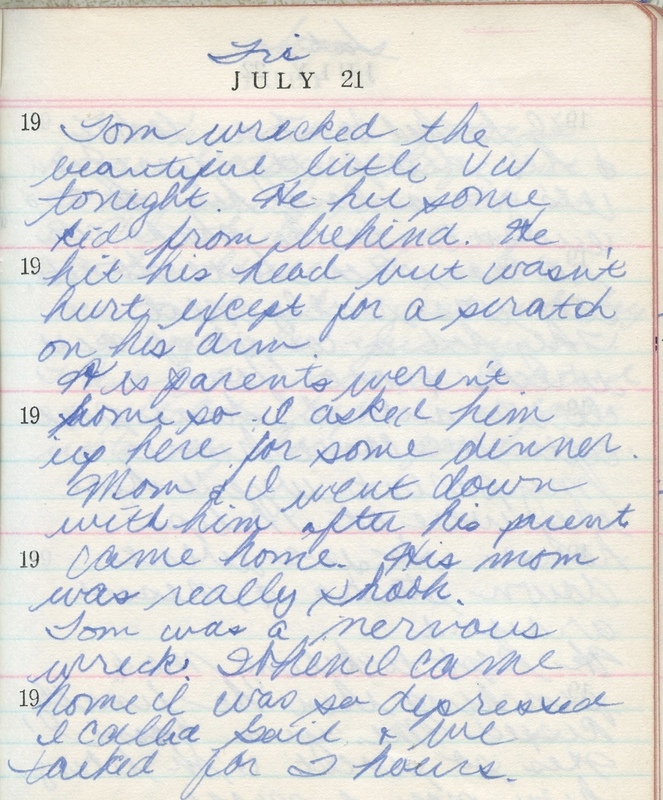 On April 14, 1978, a Friday, I woke, got ready for school and was out the door at what seemed like an ungodly hour, but not before eating breakfast and downing some orange juice. I was a 7th grader, i.e. 12 years old, and finishing the last of two years at Loller Middle School in Hatboro. (Unlike many other school districts, the Hatboro-Horsham School District had two middle schools: one for 6th- and 7th-graders, and one for 8th- and 9th-graders.) Anyway, given that the temps were chilly that morn – the day’s low was 44 degrees Fahrenheit – and I had a near mile trek, I likely wore my winter coat, as well as a button-down shirt. I was also bedecked in corduroy pants (denim jeans were banned by the school principal). The biggest concern in my life: making the Honor Roll, which I’d done in all the previous marking periods at Loller. The second concern, as I charted here: A little thing called rock ’n’ roll. I’d just caught the bug, though my idea of “rock ’n’ roll” was more pop-oriented. And, with that, here’s today’s Top 5: 40 Years Ago Today… (courtesy of Weekly Top 40; the chart is for the 15th). 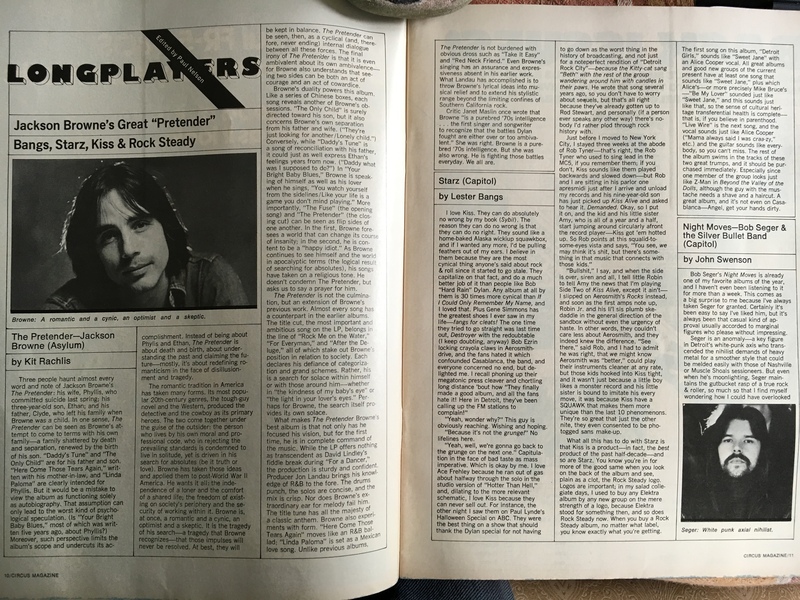 3) Jackson Browne – “Running on Empty.” Rising to No. 15 (from 18) is this classic tune, which I never tire of. 4) Wings – “With a Little Luck.” Jumping from No. 57 to 17 is this ode to optimism and love. As I’ve noted before, this is the song that fast-tracked my music fandom. I still love it. 6) The Patti Smith Group – “Because the Night.” Entering the charts at No. 82 is this timeless tune written by Bruce Springsteen and recast by Patti Smith. So I found myself, as a visitor, in a hospital room yesterday morning with time to kill. Sure, I have a few games on my phone that I sometimes (obsessively) play, but I wasn’t in the mood. What to do? I decided to give the new-to-me Xfinity TV app, which enables subscribers to take the cable-TV experience with them, a try. (It’s Xfinity’s way of competing with Netflix, Hulu and Amazon Prime, I imagine.) It’s a good idea marred by the same basic problem of cable-TV in general: excess. In other words, every friggin’ channel you don’t want is there, sharing space with the few you do, in the “live” TV section. As a result, scrolling through the guide is something of a nightmare. 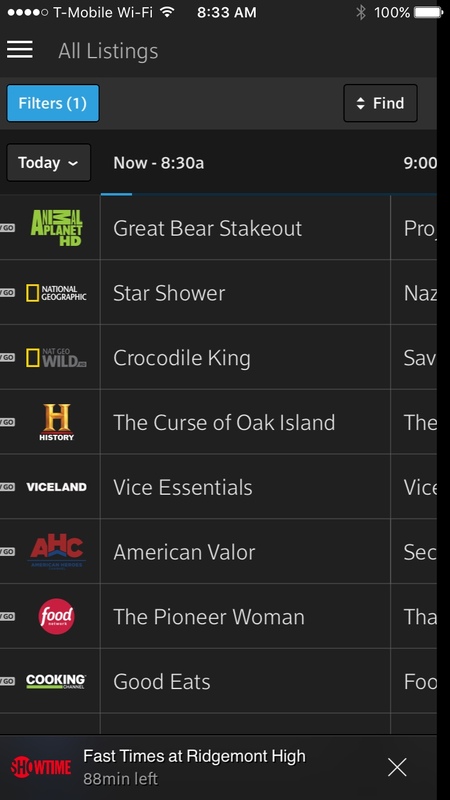 So, just as I often do at home, I found my way to the OnDemand section; and, thus, today’s Top 5 was born. 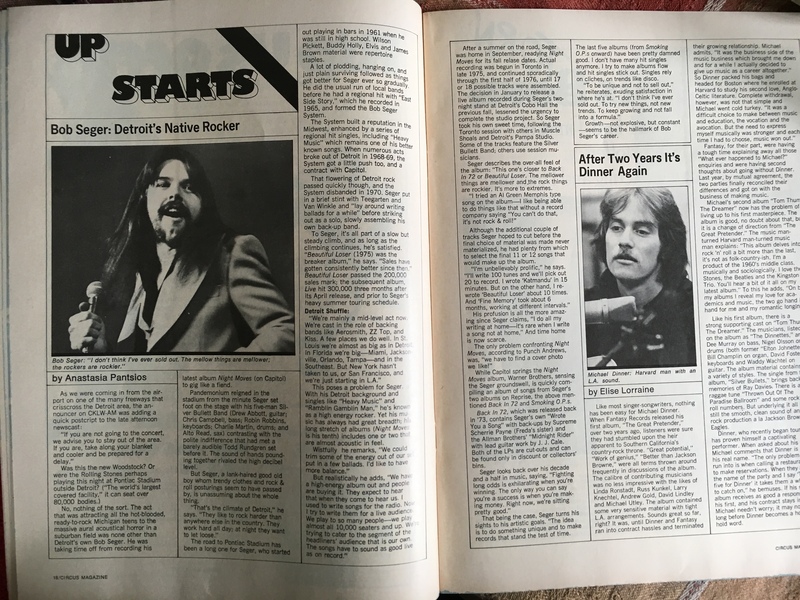 No rhyme nor reason to the picks – these are, quite literally, the first music-minded opening sequences that occurred to me (that I could find on YouTube, I hasten to add). 1) Fast Times at Ridgemont High – “We Got the Beat” (Go-Go’s). I have to say, I’ve seen this teen comedy many times, including at the movie theater at the Village Mall in Horsham in 1982, though not once in the past 25 years…until yesterday, that is, when I watched the first few minutes to gauge the quality of the picture via the hospital’s Wi-Fi. Which is to say: I’d forgotten just about everything about it, including that the Go-Go’s provided the soundtrack to the opening – and what an opening! In just a few minutes, it portrays mall-based teen life circa the early ‘80s as well if not better than anything I’ve seen. 3) Saturday Night Fever – “Stayin’ Alive” (Bee-Gees). Through the years, the film has taken something of a backseat to its pulsating soundtrack, which is a shame: It’s a quite-good (and fairly downbeat) look at life in NYC during the late ‘70s. 4) Grease – “Grease” (Frankie Valli). What can be said about this film? Some folks hate it; I don’t. 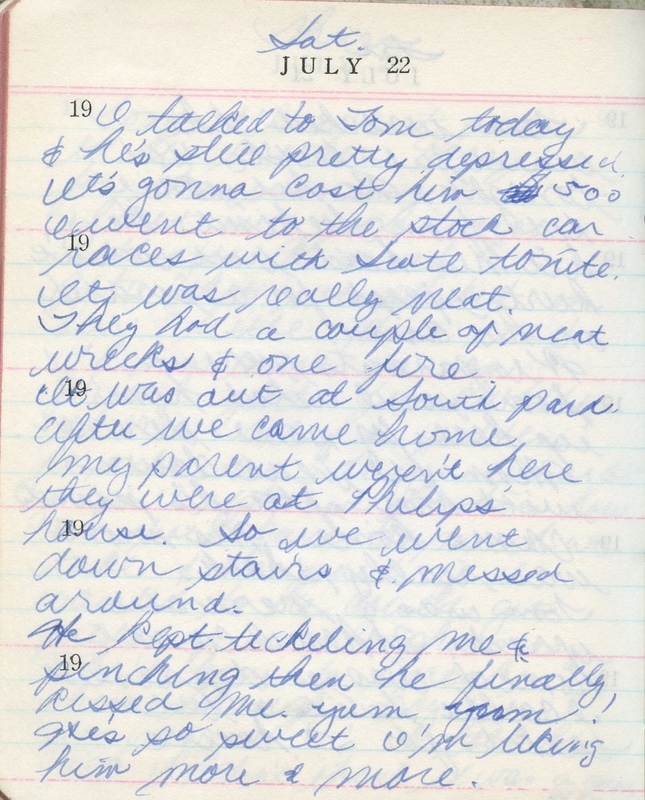 As I wrote here, I saw it a dozen times in ’78 – and have seen it far more times than I can count in the years since. 6) American Graffiti – “Rock Around the Clock” (Bill Haley & the Comets). A classic film that never gets old. On a related note: Cindy Williams’ memoir, Shirley, I Jest!, includes her memories of making the movie – along with lots more. Well worth the read! In the Philadelphia region, like elsewhere in the northeastern U.S., the winter of 1976-77 was cold. How cold? According to Jon Nese and Glenn “Hurricane” Schwartz, from December 1976 through February 1977, we experienced 54 days when temperatures dipped beneath 20 degrees; and, on 35 of them, temperatures never inched above the freezing mark. In fact, that January was the coldest month, ever, for the Delaware Valley. For a kid a mere two years removed from a hot desert climate, it felt like a frigid hell. About the only saving grace: the lack of snow. We narrowly escaped the Blizzard of ’77, which slammed New England and, for the winter as a whole, amassed less than eight inches. There were less pluses when it came to the economy. 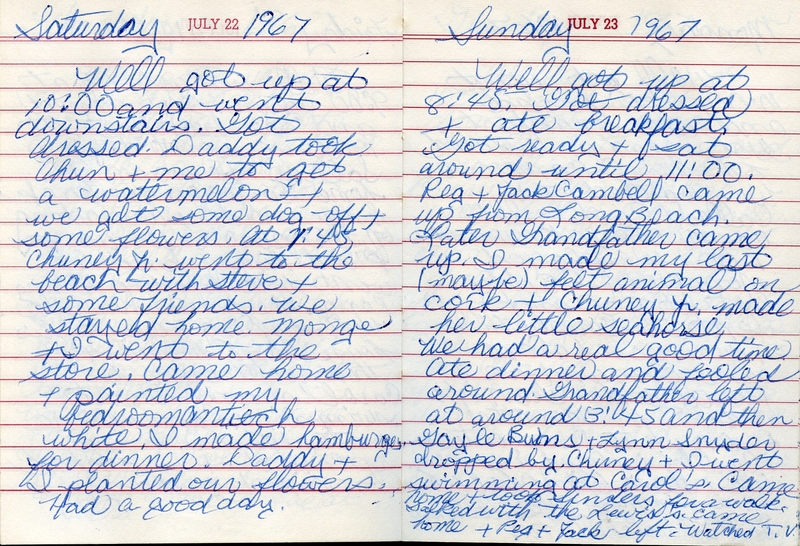 It wasn’t as awful as, say, 1974, but it wasn’t good. Unemployment was 7.8 percent and inflation was 5.2 percent. 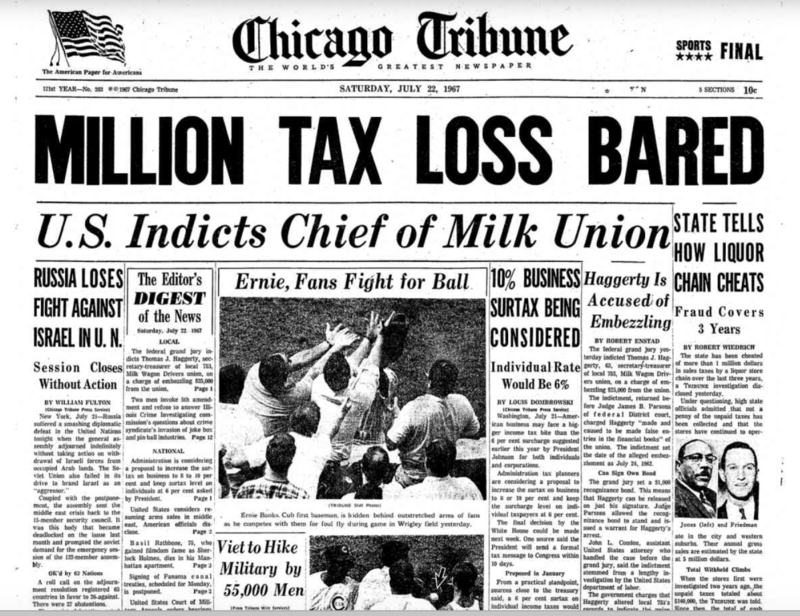 Yet, despite those stats and weather, optimism lingered in the air for a variety of reasons, including one of the greatest feel-good movies of all time, Rocky, which was released the month before; and Jimmy Carter, who was sworn into office as America’s 39th president on January 20th. It was a new day—and, ever so briefly, a new politics: at the start of his inaugural address, Carter thanked Gerald Ford, his predecessor, for all he had done to heal a land torn asunder by Watergate. The two shook hands. Not that the speech lent itself to greatness; if anything, its prosaic language foreshadowed what would become a prosaic presidency. 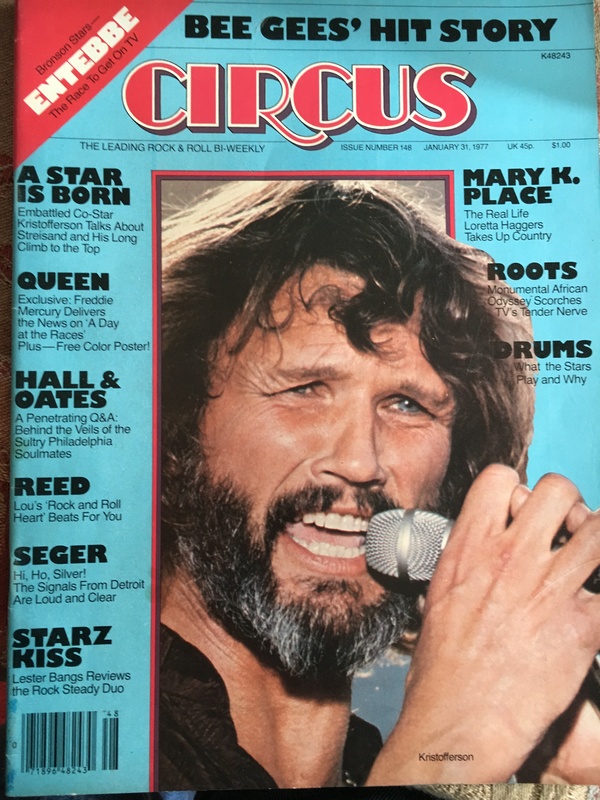 Anyway, my main memory of Circus, which is from a few years later, is that it was (basically) a heavy-metal monthly, minus the cool art and stories that accented the real Heavy Metal magazine. 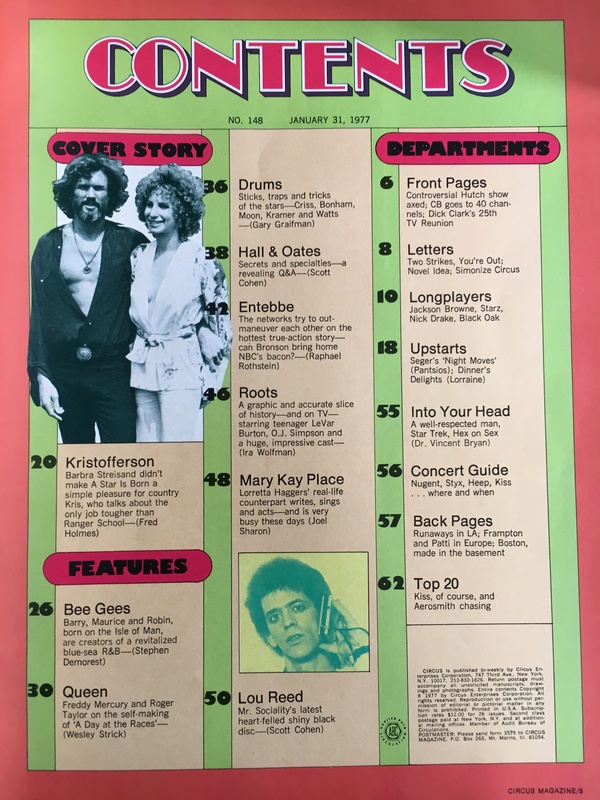 So I was taken aback, last weekend, to discover this issue, dated January 31st, in a rather cool ephemera store about a 30-minute ride away from my home. 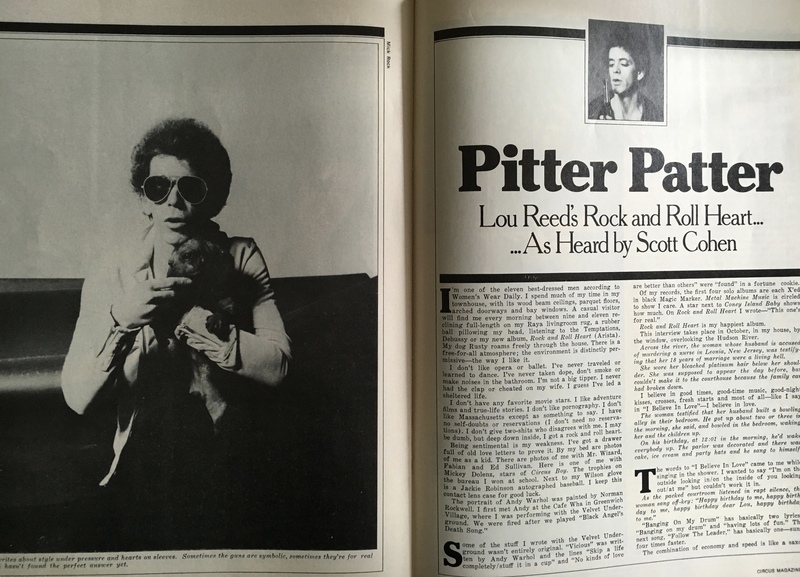 The tag beneath the title, as seen in the first picture, calls it “the leading rock & roll biweekly.” According to Wikipedia, “[i]n the late 1970s, the magazine started focusing on pop culture as a weekly in the vein of People Magazine, which caused a drop in sales.” This issue doesn’t read like People to me, but it does have several non-music articles – one on Raid to Entebbe, an NBC-TV movie starring Charles Bronson; another on Roots; and a profile of actress-writer Mary Kay Place, who was hot thanks to Mary Hartman, Mary Hartman, and her first (and only) album. 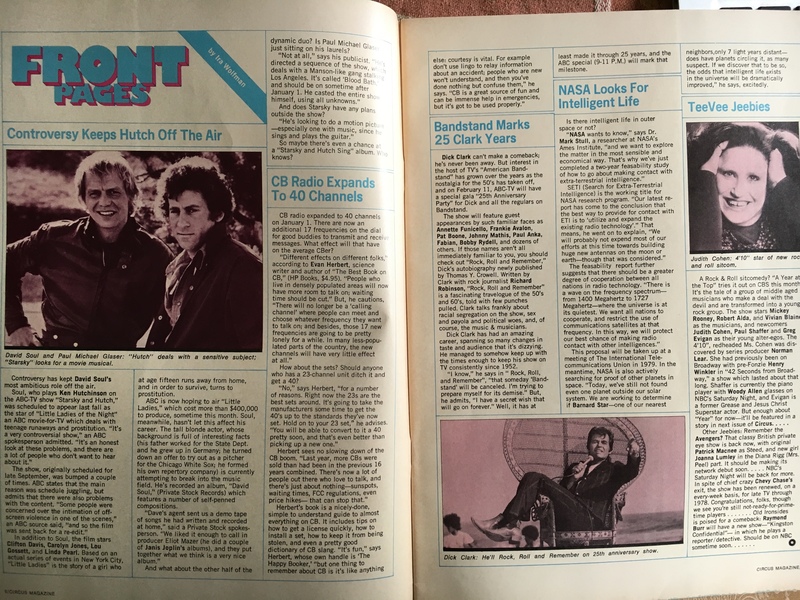 There’s also a quick-hit section called Front Pages that features reports on David Soul, 40-band CB radio, NASA and TV odds-and-ends; and the quick-hit Back Pages, which focuses on music. 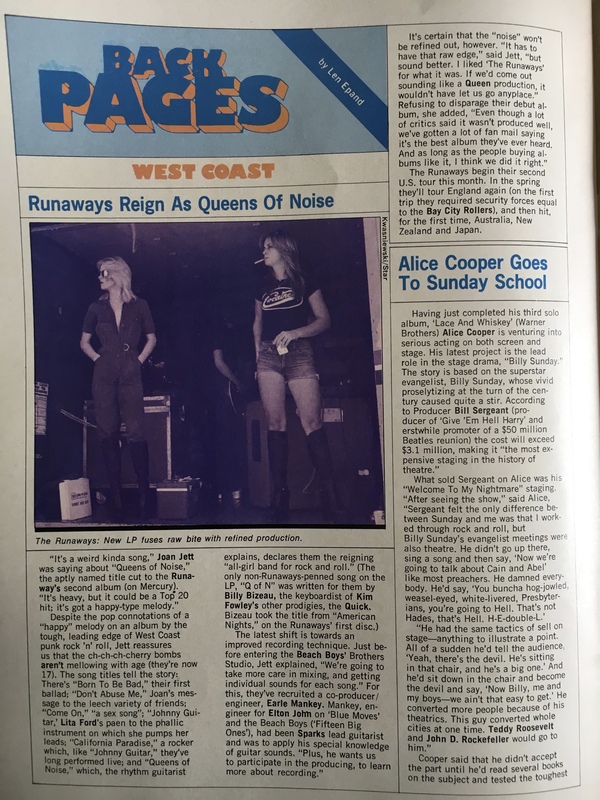 This issue, that means mentions of Paul McCartney & Wings, Queen, Boston, the Runaways, Alice Cooper and Bob Seger. On their agenda: the soundtrack to the Sgt. Pepper’s film; and their followup to Children of the World (which would be bastardized for Saturday Night Fever). This song, which features on that soundtrack, hails from Children; and was a No. 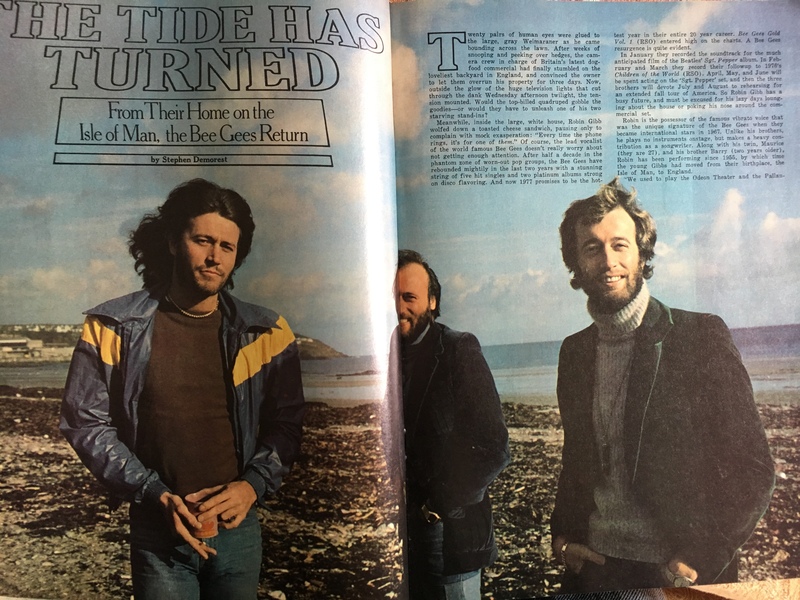 1 hit in September 1976. One piece of trivia related to it: Stephen Stills (yes, that Stephen Stills) plays percussion on it.